iland is a global cloud service provider of secure and compliant hosting for infrastructure (IaaS), disaster recovery (DRaaS), and backup as a service (BaaS). They are recognised by industry analysts as a leader in disaster recovery. 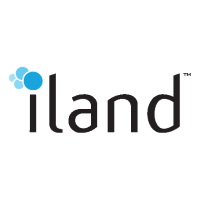 The award-winning iland Secure Cloud ConsoleSM natively combines deep layered security, predictive analytics, and compliance to deliver unmatched visibility and ease of management for all of iland’s cloud services. Headquartered in Houston, Texas and London, UK, iland delivers cloud services from its data centres throughout the Americas, Europe, Australia and Asia. Learn more at iland.com.